Changing the world one note at a time. Noteworthy Music Studio offers private lessons on piano, voice, guitar, violin, cello, and music theory for children, teens, and adults. We have 3 locations in Wisconsin: Stevens Point, Marshfield, and Wausau. Why choose Noteworthy Music Studio? ✔ HUNDREDS of satisfied families and students! Piano lessons are hands-down our most popular choice. A terrific option for all beginning AND experienced musicians, piano is the most universal instrument and, in our opinion, should be mastered by everyone. 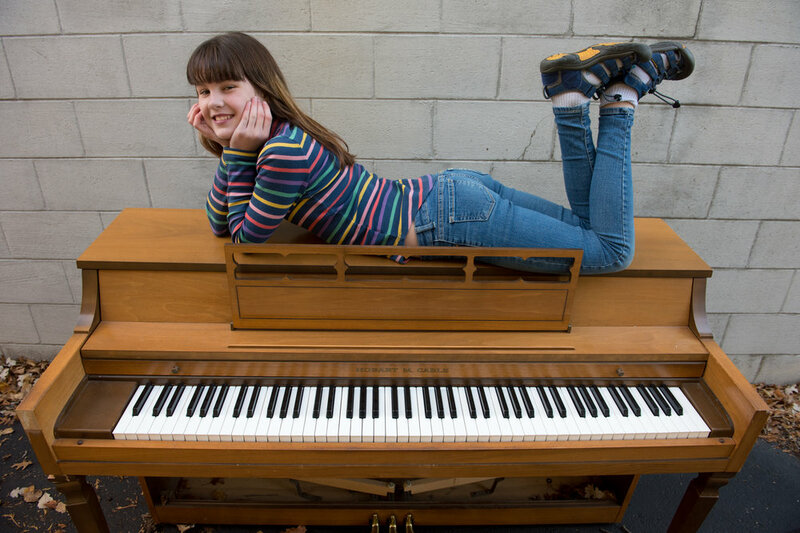 Whether you have a 5-year old who wants to take their first steps into music, a teenager who wants to refine their musicianship, or an adult who wants to take up a fulfilling hobby, piano lessons are an excellent choice. Who doesn't love singing along to a guitar? If you are interested in a cooler, hipper way to make music, guitar is probably the right choice for you! Our guitar instructors are committed, knowledgeable, and laid-back, but exacting when they need to be. They cultivate a learning environment that is disciplined and quality-focused, yet light and enjoyable. If that combination appeals to you, we suggest you give the guitar a try. Ages 5 and above. Few sounds are more enchanting or captivating than the sweet sound of a violin played beautifully. For disciplined and ambitious students, ages 5 and up, who seek to master this classic instrument and find success in school orchestra, solo and ensemble, or the next recital, few endeavors are more rewarding than making your violin sing with gorgeous tone for audiences, friends and family. Ask today if the violin is right for you. If you want to learn an amazing instrument and join Noteworthy's most tightly-knit musical community, the cello is for you. Like the violin, but with a richer, deeper, more soulful sound, there are few sights more inspiring than watching an accomplished cellist in action. Cello lessons are available for students as young as 5. 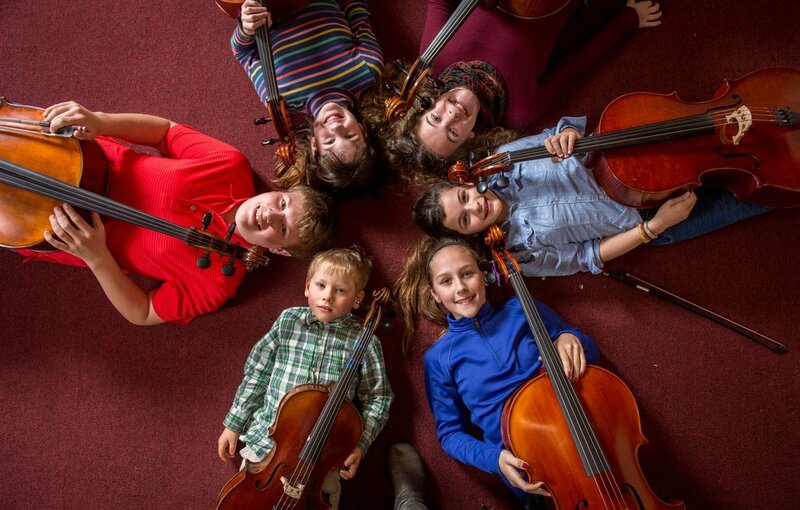 Upon joining the cello studio at Noteworthy you will find yourself connected to a network of caring, supportive students and families, all focused on each others' growth. Through private lessons and group classes you will become the best version of yourself in the Noteworthy cello studio. Voice lessons are popular for students aged 8 and above and are still the best way to cultivate the confidence and stage presence that is so crucial for success as an onstage performer. Voice students love working with our wonderful voice faculty because they bring out the best with high standards and a direct, nurturing presence. Taking voice lessons gives students the opportunity to sing a wide variety of music, including classical, broadway, pop, folk, and much more. Our voice students shine in recital, and find success in solo & ensemble, choirs, variety shows, bands, musicals, and more. Want to get a leg up in your school band? Want expert coaching on your upcoming Solo and Ensemble festival? Would you like to master the expressive sounds of the saxophone, flute, or clarinet? Woodwind lessons are what you want. Available for ages 11 (unless student has prior musical experience) and up, woodwind lessons focus on embouchure, finger agility, breath control, posture, music reading and ensemble playing to help saxophonists, clarinetists, and flutists stand out in their musical communities and performances. We Believe YOU Are Noteworthy! We look forward to becoming Noteworthy with you!